Finding new and engaging ways to introduce kids to fractions can be challenging. But to really comprehend what fractions are, how they are represented and how to solve problems with fractions, kids need LOTS of exposure. So I was thrilled to hear about a new, adorable picture book for kids about fractions! 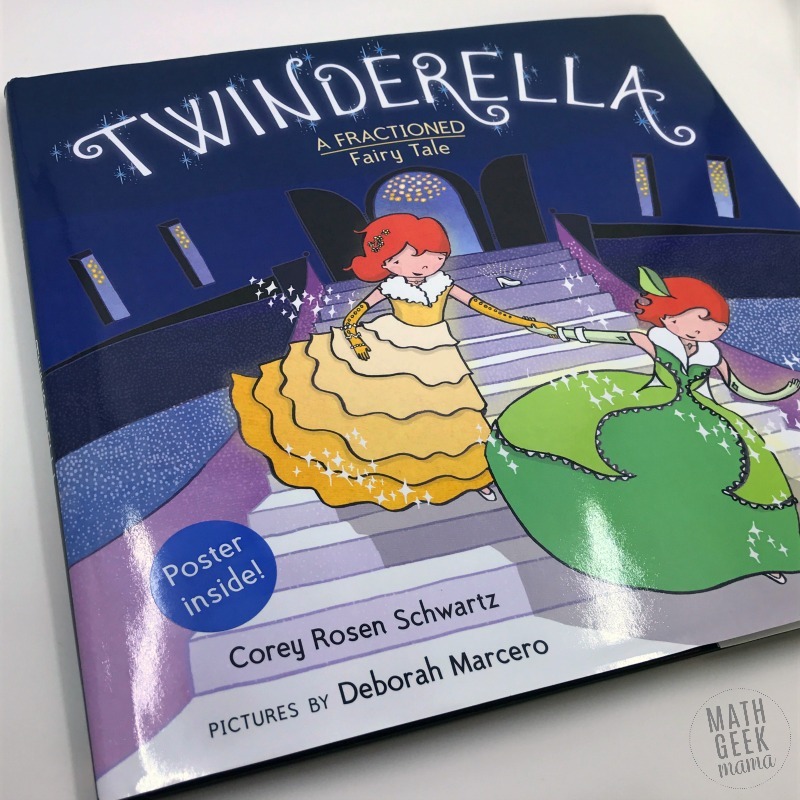 Twinderella, from Corey Rosen Schwartz, is a super cute retelling of the classic fairy tale. Plus, she does a marvelous job of weaving in real life fractions, making this an easy way to introduce fractions to your kids! And to help extend the learning, even with older kids, I’ve created a simple and low-prep set of fraction coloring pages which you can use along with the story. There are beautiful illustrations and examples of fractions throughout, and the enjoyable rhyme makes it a pleasure to read again and again (as I have with my kids). Purchase a copy of Twinderella here. To expand on the fraction lessons learned in the story, I’ve created a few different fraction coloring pages to help kids model fractions, find and see equivalent fractions and compare fractions. 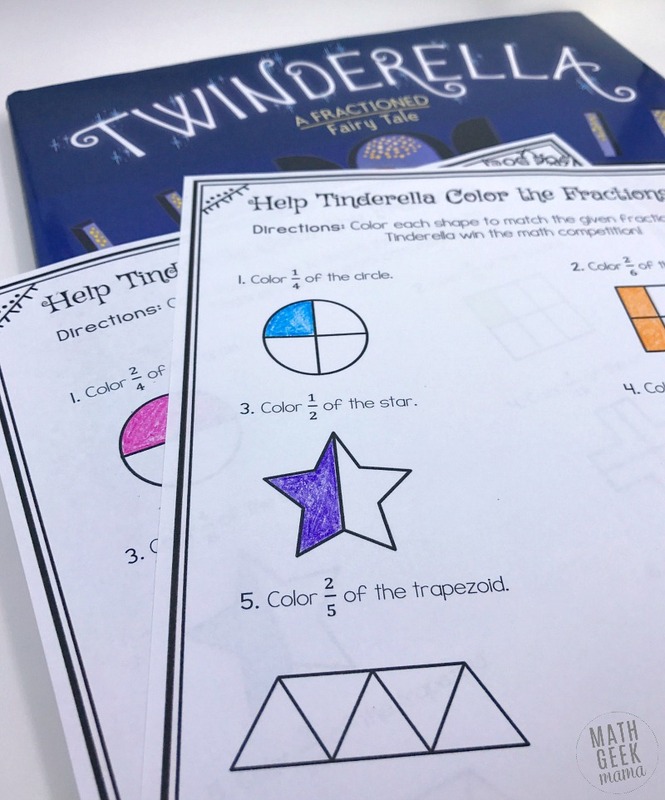 The first page simply asks kids to color the given fraction of each shape. The denominator matches the division of the shape, making this a good introduction page or review for older kids. The second page of the download is similar, except this time students must find the equivalent fraction. If this is new for your students, you will want to combine a hands on tool, such as these fraction tiles, to help kids find the equivalent. Then they can color the shape appropriately. 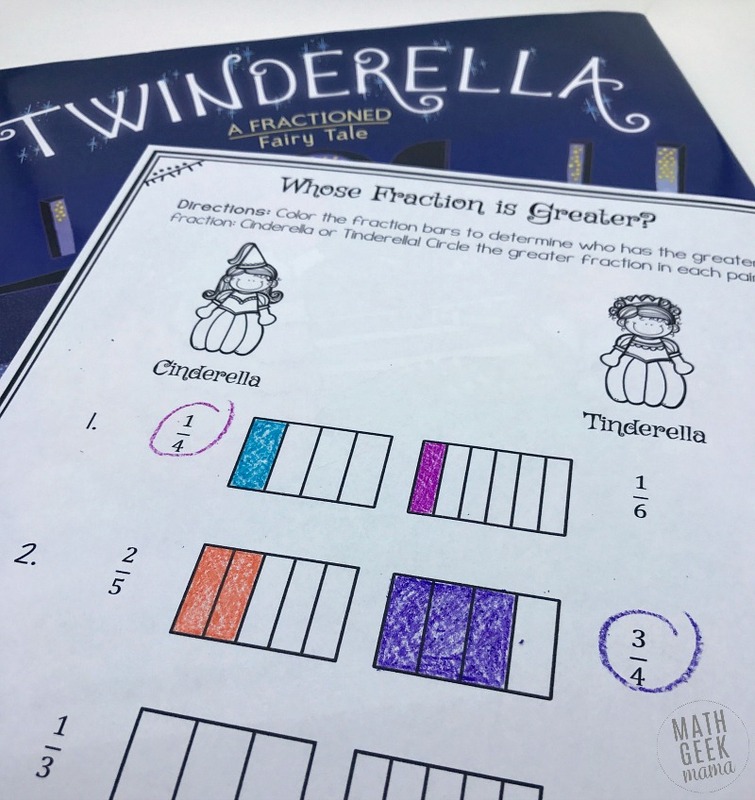 The past page also uses visual models for the fractions, but now students compare Cinderella’s and Tinderella’s fractions to see whose is greater. 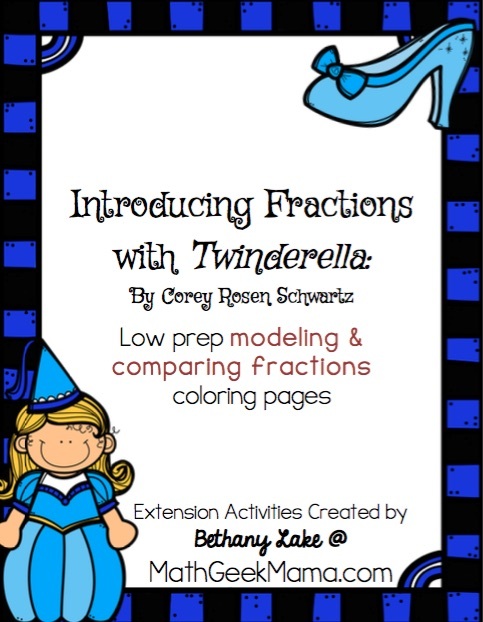 To begin, have kids color each fraction with the given model. Then can then see which fraction is greater, and circle the answer. 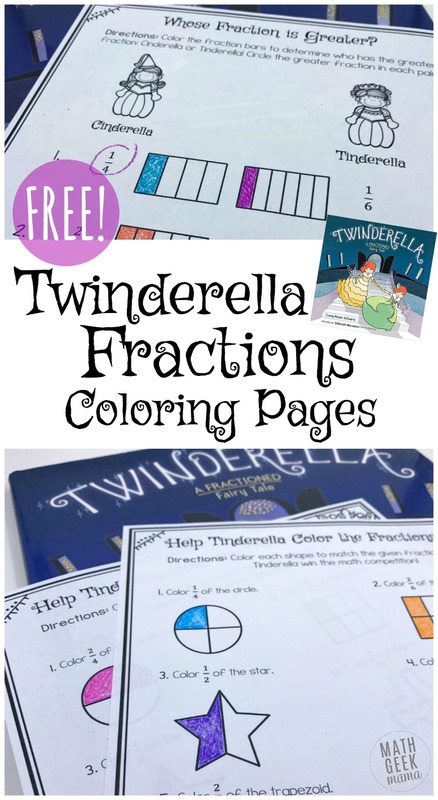 Again, if this is a new concept for your kids, I suggest combining these fraction coloring pages with a hands on fraction tiles.